If you've been wondering how starting or having a website compares to yellow pages, print media, TV, radio advertising or most other traditional advertising and marketing methods, this page should make it crystal clear that there really is NO better option than building your online business and a great website using the Internet! Start by reading the information found HERE. The monthly rate for this SINGLE dollar-bill size ad is just about the SAME as for ALL of the full-size website pages shown below--and more!. NOTE: The web pages allow you to enjoy 100% flexibility and changes any time at all. You can publish UNLIMITED amounts of influential information to the local, regional and yes, even global markets! Now, if you were to place a second or third yellow pages ad, your costs would multiply proportionately as well. Next, if you want to expand your reach geographically, you have to place more ads in more and more local books. Ouch! IMPORTANT: Many Yellow Pages Directory Companies now offer "websites", etc. As a former yellow pages ad rep myself, I know how they operate. In my experience, they do not fully develop any kind of web "business" for you. Worse, they WILL charge you more and more to expand categorically and geographically. Don't let that happen. It should not be that way! Call us first before you finalize any contracts!! The overall scenario would also apply to radio, TV, newspaper, coupon paks, billboards, etc., etc. Right? When you build a BUSINESS website, you can add as many new pages with unlimited information all about you as you want, make changes anytime you want, for the SAME low monthly rate. (does not multiply!) And, you immediately reach (and dominate!) 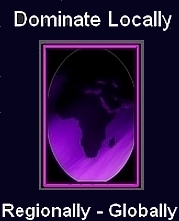 your LOCAL areas (all of them) and even reach the whole world. All at NO additional cost. In other words, the more you do on the web, the LESS your cost per customer acquisition. You win in every direction. HERE'S A GREAT CHART ILLUSTRATING THE FULL IDEA. Now consider that the entire world is moving away from all kinds of print media and more toward digital and Internet media every day. Your audience and your CUSTOMER is more and more on the web! So logically then , every yellow pages small business advertiser has an immediate opportunity to remain in the yellow pages. But the programs should be scaled back so that the more powerful and cost-effective Internet website methods can be implemented. It's entirely possible to have both programs going at virtually the same or even lower total monthly costs. Yet your results can be a hundred fold! Each new website page is another "fishing pole" in the water. You can keep on GOING until YOU decide that you don't want more pages of great content (these are your very own "salesmen" out on the web) telling your story and pulling in warm, willing to buy, potential customers to YOU! How in the world can the Yellow Pages or any other form of advertising do THAT? 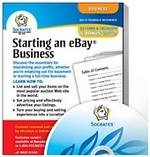 Get started right away and start building a web business that's even better than the typical "website" and trounce your competition easily and win sales now. It's the best single thing you could possibly do for your business.